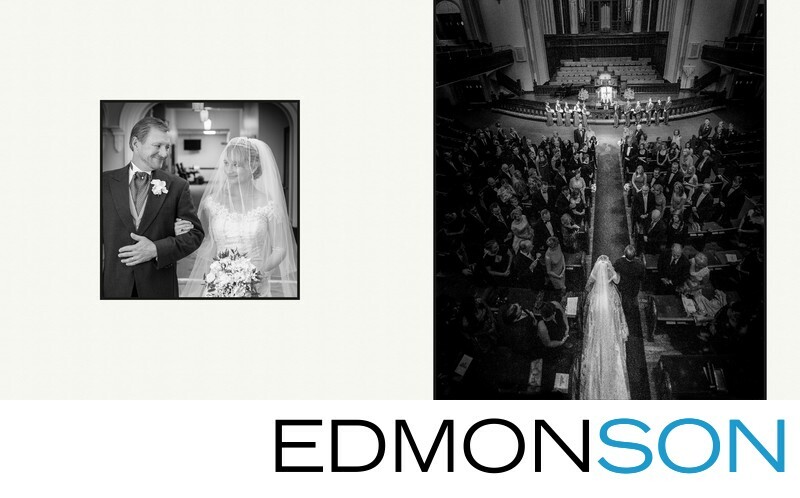 Real wedding album of classic bride and groom married at First United Methodist Church of Dallas with a wedding reception at the Adolphus Hotel. Wedding photos show the French Room and Century Ballroom. Wedding coordination provided by Donnie Brown Events. Location: First United Methodist Church Dallas.